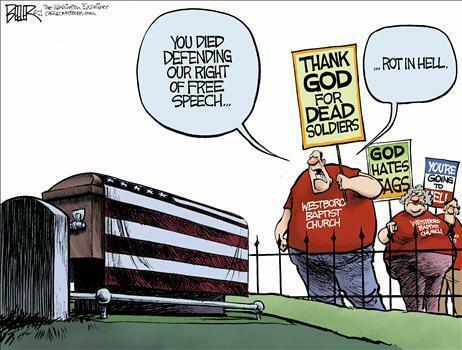 WBC. . Wallpaper and background images in the U.S. Republican Party club tagged: politics funny westboro baptist church 2011 comics supreme court free speech nate beeler. This U.S. Republican Party fan art might contain anime, comic, manga, cartoon, comic buch, karikatur, and comics. I think this is a cartoon that can be appreciated across party lines.